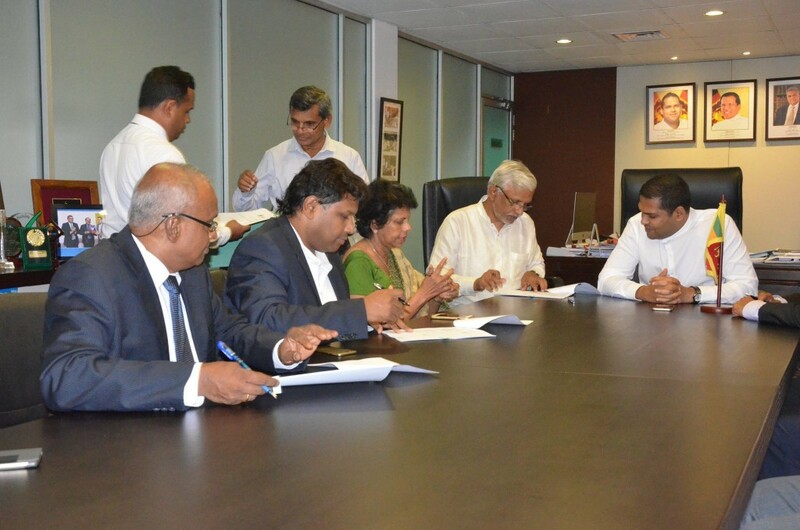 Aligned with the national policy of ‘Digitization of Economy’, of Information and Communication Technology Agency of Sri Lanka (ICTA), which functions under the Ministry of Telecommunication and Digital Infrastructure. 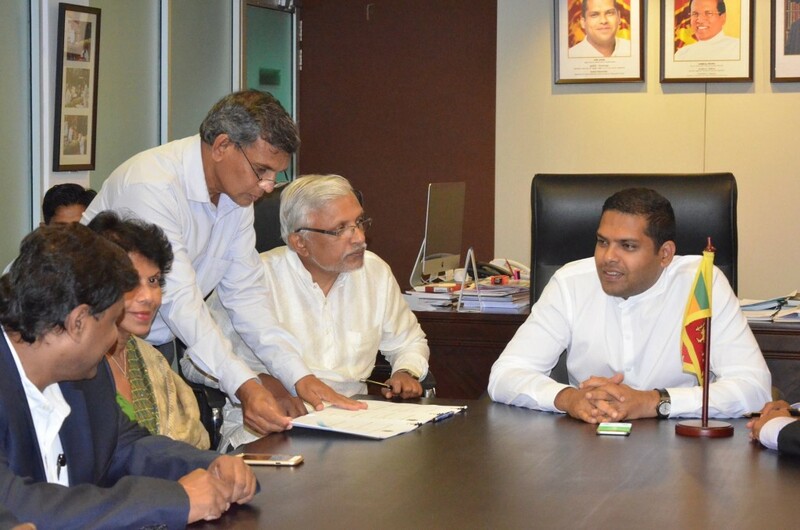 ICTA is the apex government organization, mandated to take all necessary measures to implement the Government’s Policy and Action Plan in relation to ICT development across all sectors of the country. 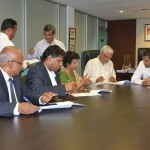 “Lanka Government Network” (LGN) project in near future. LGN is a strategic project of Re-Engineering Government program launched by the ICTA. 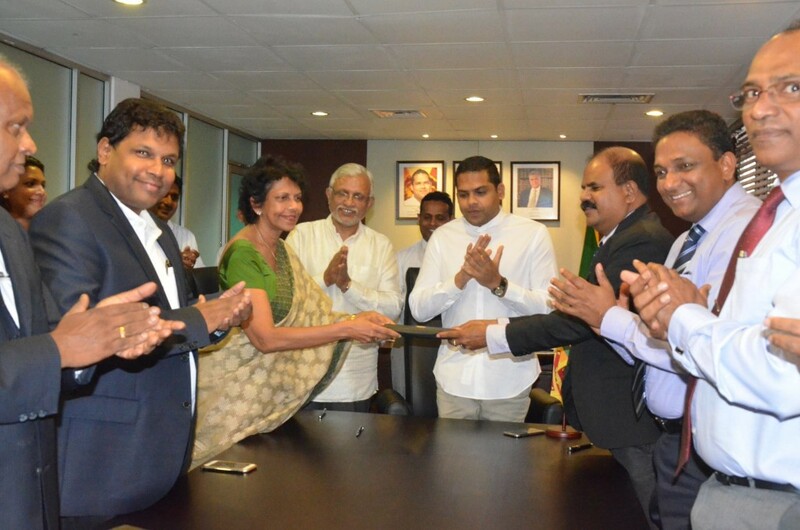 The government of Sri Lanka has recognized the need for a digital economy and has taken measures to digitalize the administration in order to successfully face future economic and social challenges. Main objective of the LGN project is to build highly available, high speed, secure, reliable and centrally managed dedicated government network to link all government institutions to a single digital infrastructure. 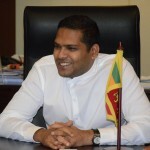 By successfully deploying the LGN project, ICTA aims at encouraging public sector employees to get better acquainted with Information and Communication Technology (ICT), assuring efficiency and smooth flow of information as well as improving standards of service in the public sector to be able to provide efficient citizen services. 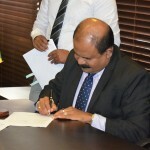 Lanka Government Network version 2.0 (LGN 2.0) backbone will be connect all the government organizations of GOSL in a cost-effective and secure manner to provide centralized Internet, Email and video conferencing services, Enable access to Lanka Government Cloud (LGC) services from any government organization. Also, it’s provide number of government e-services and Provide trusted and secure connectivity to all government organizations to exchange government data and information. 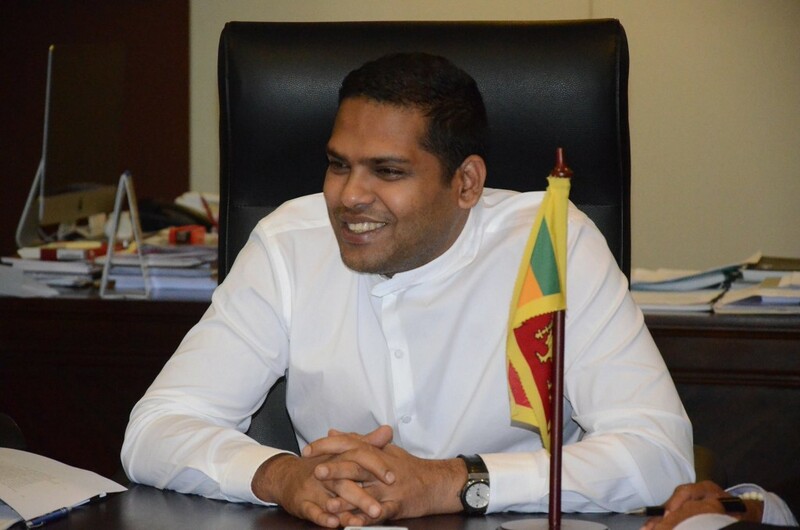 As the first phase of the project LGN main VPN core and 860 government organization will be connect that Including 331 Divisional Secretariats, 25 District Secretariats, 50 Ministries, 87 Departments, 46 Hospitals, 321 Other Government organizations island wide. The proposed LGN 2.0 initiative offers up to 100 Mbps last mile connectivity for all government location through fiber optic media. 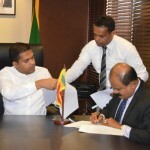 Also from this network ICTA intends to build their Local area network with providing Wi-Fi facilities with enabling cross government dedicated network in Sri Lanka. The benefits of this project lies in a wide range as this project remove physical boundaries of the government institutions and offer effective and efficient government service to the public. Through this project, people in rural areas of the country will be able to access to government services even from rural areas of the country. Therefore it will open new business opportunities at the grass root level people due to availability of information and technology. Further it will reduce travelling costs and expenditure on obtaining government services due to the accessibility of government services in every part of the country. Added to that government will get the capacity to perform efficiently and effectively with the improved connectivity and availability of common digital platforms. It is also expected to achieve significant cost reduction in government sector by avoiding paper based communication and documentation by moving in to digital communication and documentation by using the available government network. Ultimately it will positively contribute to the improve citizen satisfaction and employee satisfaction due to the efficient service delivery and improved job satisfaction as well. 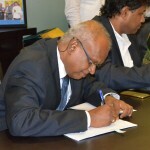 From this network both government employees and citizens will be able to easily connect the network using any of their Wi-Fi enabled device. This has long proven to be a reliable and efficient method of connectivity. Further, both employees and citizens will be allow to access government services and internet using their Wi-Fi enabled device. However, all user group will be allow Wi-Fi with different user policies for the internet access. 2. To provide Wi-Fi facility to access government services for employees and for citizens as well. 5. To provide uninterrupted, reliable and fast Internet connectivity to the government organizations/buildings. 6. To provide trusted and secure connectivity to other government organizations to exchange government data. 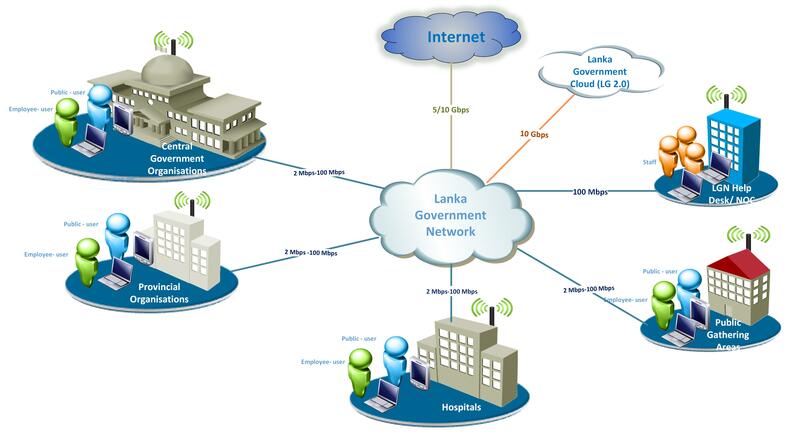 Provide high speed Wide Area Network connectivity with Establish wireless networks at each government organizations to connect with LGN main backbone and Lanka government Cloud. Identified 860 locations island wide as the first phase of the LGN 2.0 to be covered by December 2017. To provide Wi-Fi facility to access government services for employees and for citizens as well. To provide uninterrupted, reliable and fast Internet connectivity to the government organizations/buildings. To provide trusted and secure connectivity to other government organizations to exchange government data. Established government network with up to 100Mbps last mile connectivity to each government organizations including post offices. Established wireless networks at each government location. 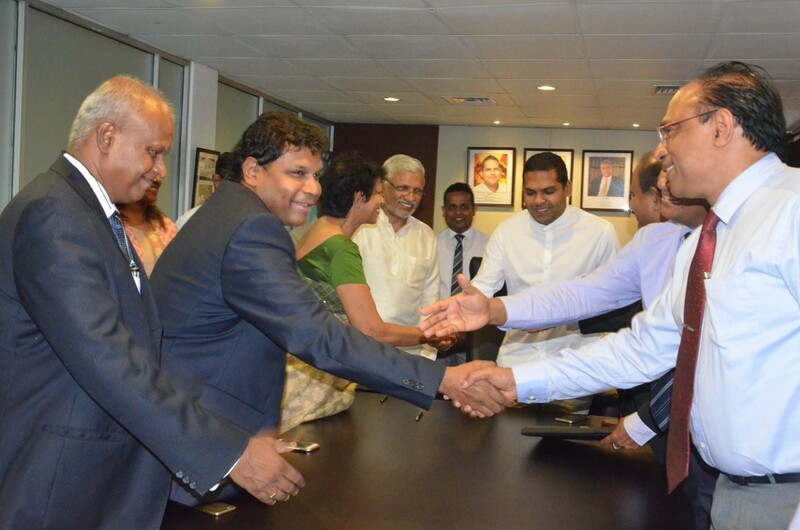 Enabled access to Lanka Government Cloud (LGC) services from any government organization. 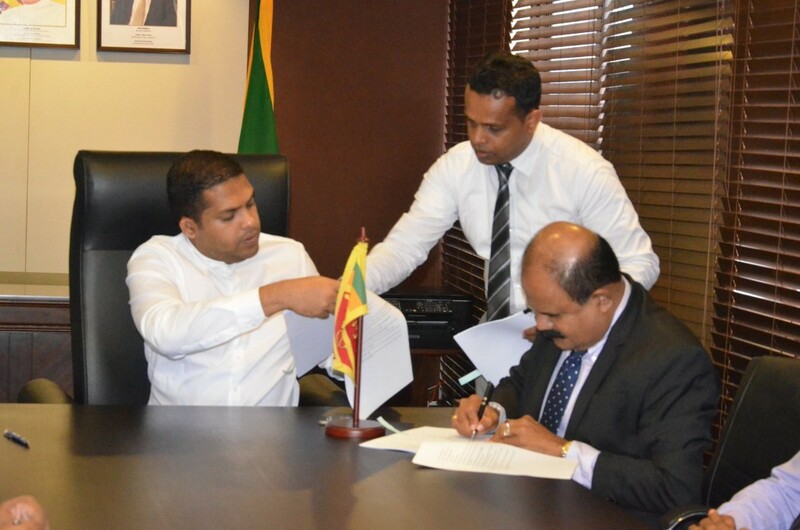 Enabling of integration with existing networks in GoSL with LGN in a secure manner. Offer a better and cost effective communication platform to use with cloud based email facility, G2G IP based voice facility and video communication facility. Connectivity and LGN 2.0 facilities provided to total of 3500 government organizations by end of year 2017. Site survey has completed up to 95% . User Acceptance testing (UAT) is successfully started by ICTA team for 50 pilot sites. 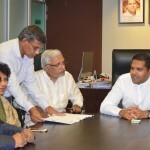 Project Steering Committee has already appointed. Government employees are able to deliver e-government services through a super-fast data exchange backbone. Citizens are able to access free internet facilities through LGN Wi-Fi access points. Improvements in doing business at the grass root level people due to availability of information and technology. Reduced travelling costs due to the accessibility of government services in every part of the country. Government can perform efficiently and effectively with the improved connectivity and availability of common digital platforms. 7. Significant cost reduction in government sector by avoiding paper based communication and documentation by moving into digital communication and documentation by using the available government network. 8. Improved citizen satisfaction and employee satisfaction due to the efficient service delivery and improved job satisfaction. 9. Improved communication between Government organizations through super-fast data exchange in order to offer integrated electronic services to citizens. 10. Improved citizen engagement/participation with the Government by effectively using Wi-Fi facility offered in government organization. 12. Reduced travel time and cost by effectively using IP based voice and video communication provided through LGN as the trusted connectivity. 13. Reduced administration cost for government organizations for managing their network. 14. Increased efficiency of submitting documents by citizens to obtain government services via facilitating digital document delivery and cross government document digitization initiatives. 17. Improved efficiency of services delivered from local government authorities by facilitating E Local Government initiative. 19. 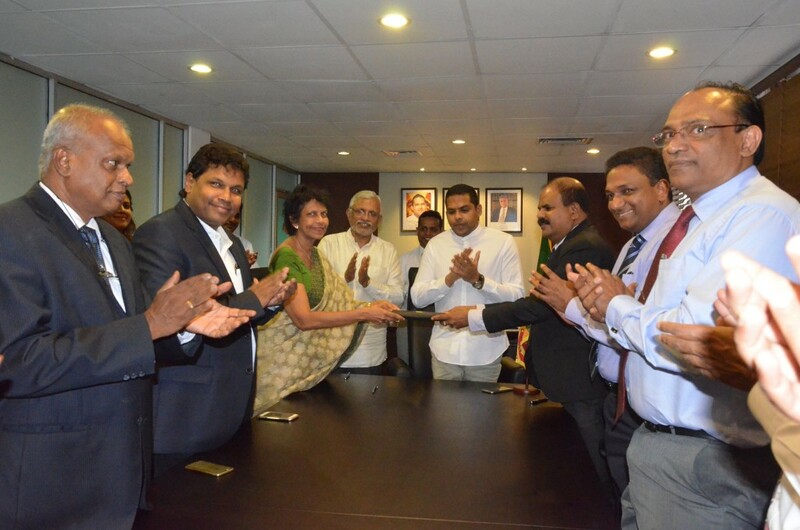 Reduced ICT infrastructure costs of the government by facilitating the access to Lanka Government Cloud (LGC) facility where government can host all systems rather than maintaining their own infrastructure. 20. Improved literacy of ICT all staff of cross government organizations. Coverage 860 Organizations (Year 2017). The current situation will be analyzed since 550 government organizations are currently utilizing the existing LGN network facilities. 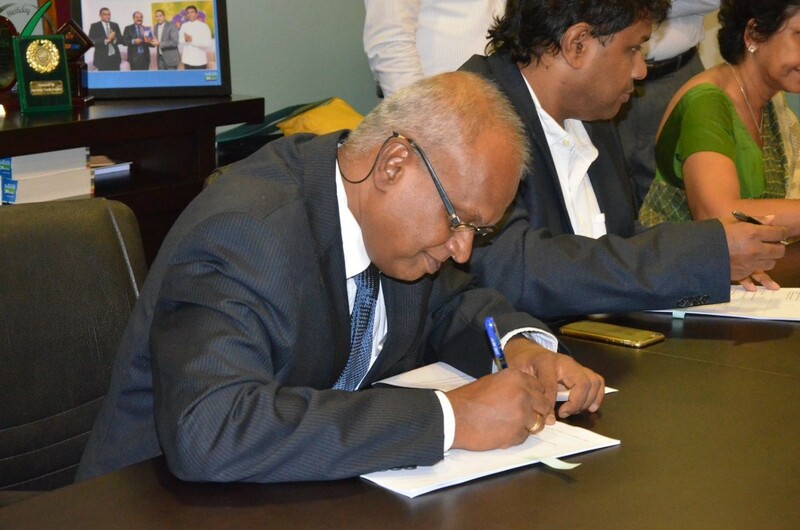 The LGN core and selected 50 government organizations will be completed as the after pilot phase of the project. With parallel to the core network implementation, end sites will be provided with necessary network equipment and connectivity. After obtaining the acceptance for the entire end to end functionality from selected set of end sites, the rolling out process will be commenced phase wise. 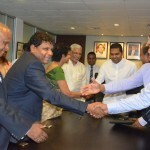 860 government organizations are expected to be connected with Lanka Government Network 2.0 project. It is planned to complete in year 2017. ICTA will be closely monitoring the implementation tasks and further followed by strict SLA’s with the service providers to ensure the quality of the service and up time of the facilities. Implementation activities are listed as follows. Also, the entire project govern by governance framework including policies and procedures. 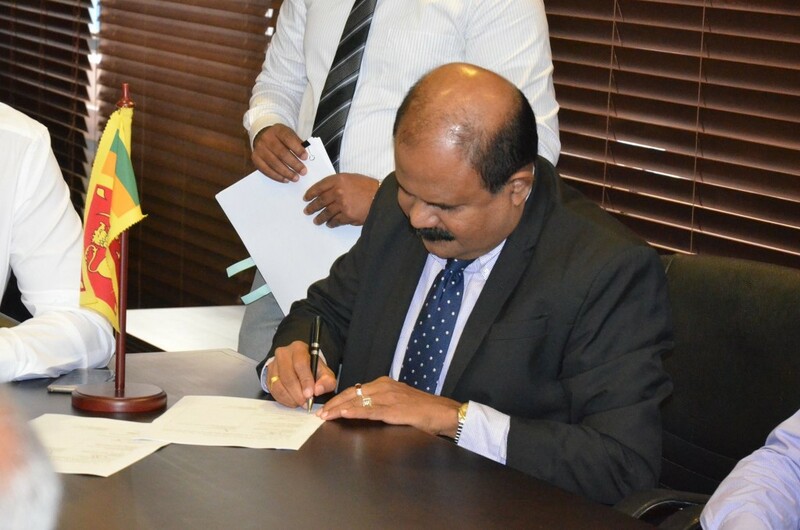 In Addition, Lanka Government Information Infrastructure (LGII) was established in order to manage, operate and develop the Lanka Government Network (LGN) and related services. Network Operating Center (NOC) and Help Desk shall operative under LGII. – identify a secure location to fix wall mount rack and related equipment. – Identify existing network infrastructure, network equipment, end user devices for providing a cost effective solution. 11. Last mile connectivity implementation and testing Installation and configuration of network equipment and rack equipment. 12. Wi-Fi implementation and testing Installation and configuration of network dices and Wi-Fi access points and testing.